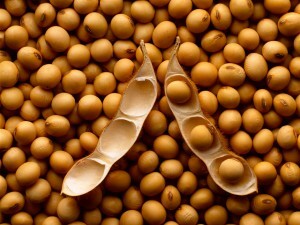 Soybeans fell to the lowest price in more than six weeks as persistent rain in South American growing areas improved crop prospects. Corn and wheat also declined. Rain has fallen in parts of Brazil, the world’s biggest exporter of soybeans, for the past two days and will continue through much of the next two weeks, forecaster Commodity Weather Group said in a report Thursday. Brazil is expected to produce a record 88 million metric tons of soybeans this year, according to the U.S. Department of Agriculture. Growers in Argentina will harvest 54.5 million tons, tying a record set in the 2009-2010 marketing year, according to the USDA. Early soybean harvesting has started in parts of Brazil, according to Aprosoja, a growers’ group in the state of Mato Grosso. Chicago Board of Trade soybean futures for January delivery declined 25 1/2 cents, or 1.9%, to $12.87 a bushel, the lowest closing price for a front-month contract since Nov. 20. Corn futures for March delivery declined 1 1/2 cents, or 0.4%, to $4.20 1/2 a bushel on the CBOT. Wheat prices dropped to a 19-month low as snow in the U.S. Midwest accumulated, protecting vulnerable plants from extreme cold and wind and providing much-needed moisture to the soil. Wheat futures for March delivery fell 8 1/4 cents, or 1.4%, to $5.97 a bushel in Chicago trading, the lowest closing price since May 11, 2012.